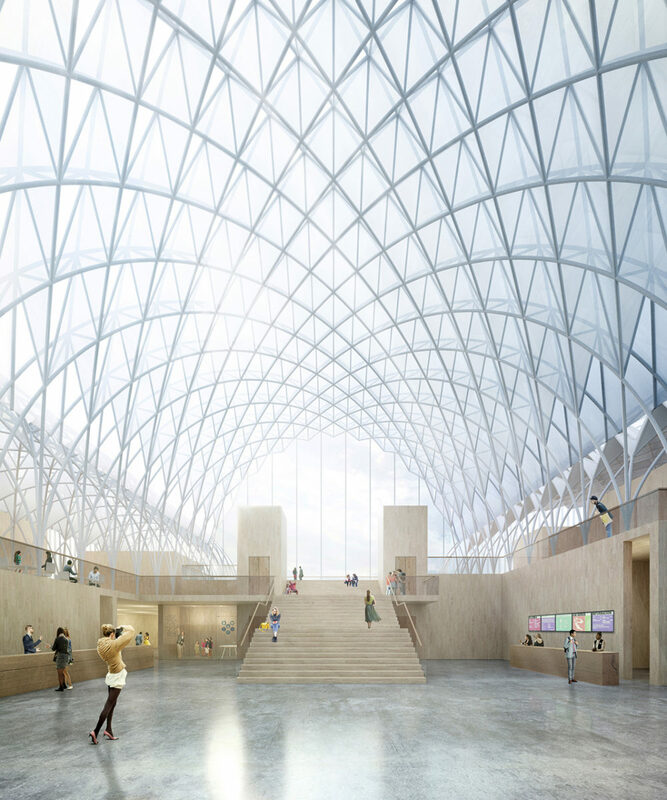 Conceived as a shelter in allusion to typical polar installations, the International Antarctic Center is organized under 16 barrel vaults that face the Strait. Both at night and daytime, the building’s skyline is easily recognizable when approaching the airport. 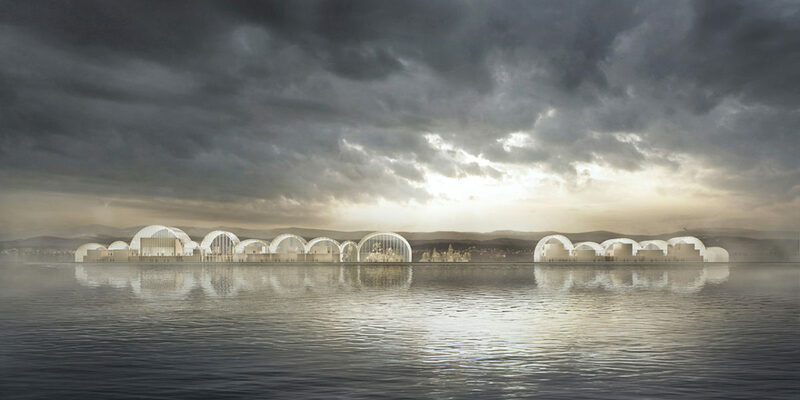 Due to the translucent membranes that cover their roofline, the vaults are perceived as a row of lanterns or sea buoys tied to the waterfront. Its linear distribution ensures capability of growth and adaptation in time. 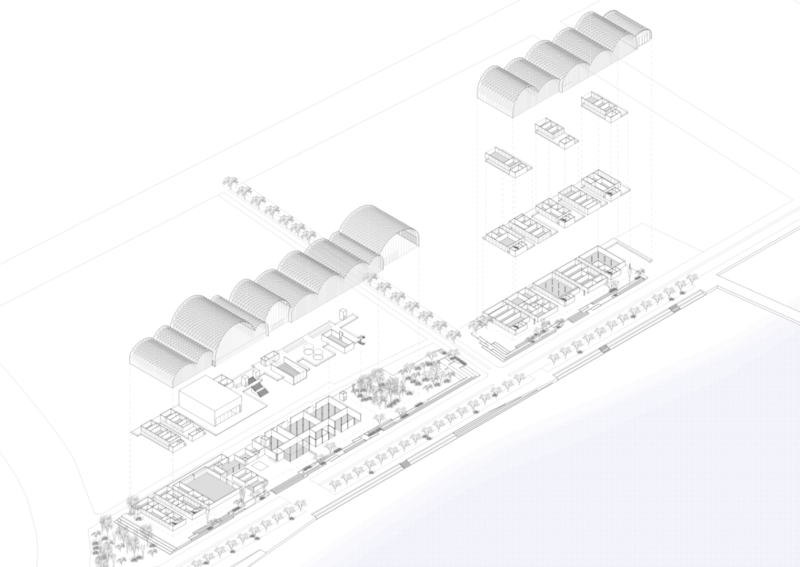 The proposal’s spatial organization is ruled by a dual system: at the bottom a group of boxes – a socle distributed in one, two or three levels built in concrete structure and movable partitions that hosts those uses with the most restrictive climatic and lighting conditions – are covered by the set of metal-structured vaults enclosed by translucent glass paneling that perform as passive temperature regulators. 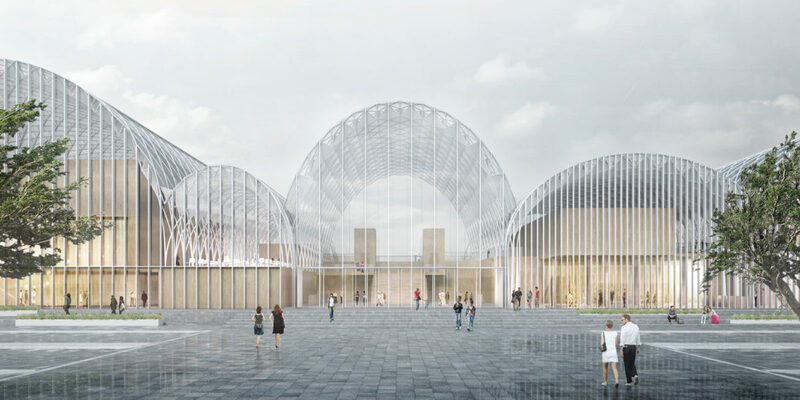 The proposal therefore understands the vaults as a set of structurally and climatically efficient elements that offer an iconic image for such an emblematic program in the region.